The 4 day ride is a round-trip of 6 days in total with 4 riding days and 3 out of 5 nights spent away in rural guesthouses and a 4 star spa hotel. Accompanying the group will be a lead guide, a sweeper guide and our 4×4 assistance taking your over night bags. On Day 1 we will collect you from Faro airport or Loule train station (for those who prefer to fly to Lisbon and take the direct train) and transfer you to your hotel where we can give you advice on where to eat and drink at a selection of good value venues. On Day 2 we will collect you from your hotel at 9am and take you back to our base 15 mins away. 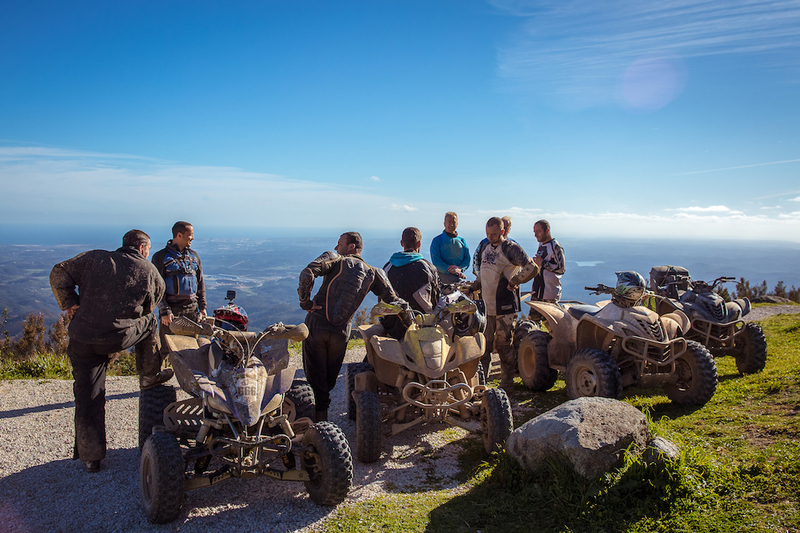 On arrival we’ll help to get you kitted out in full protective gear, introduce the quads and before leaving we will give you an all important safety briefing. 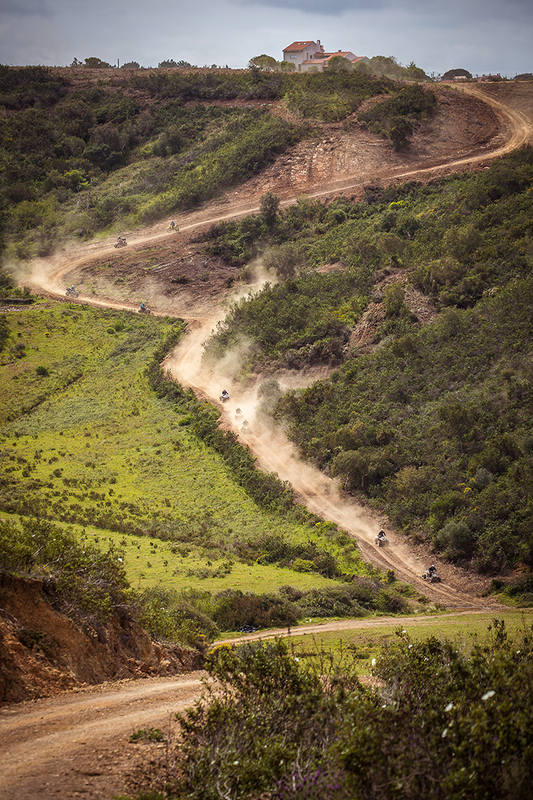 At approx 10 am we will head out on the trails for a full day of riding where we aim to cover approx 120kms per day. We will stop for short breaks at places of interest en-route, for water and photo opportunities and to check that everything is ok. At approx 1.30pm we’ll stop for lunch at a restaurant in the hills to sample some tasty local food. After a relaxed lunch, we will continue riding for a further 3 hrs before arriving at a rural hotel or guesthouse in the countryside no later than 5.30pm. After some time spent relaxing we can then all enjoy dinner together with the other members of the Rooster team. 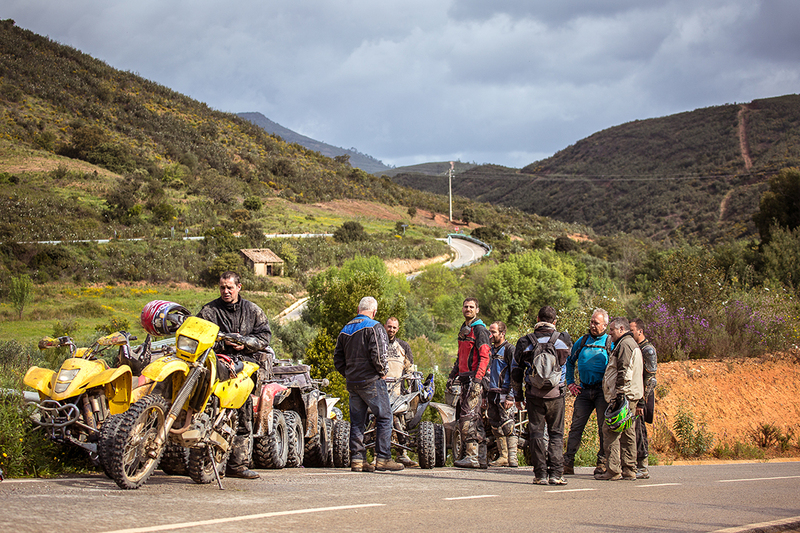 The next 3 days will follow the same format and at the end of the 4th riding day we will arrive back at our base where we can have a beer and a chat about the last few days riding before taking you back to your hotel of choice for your last night. Possibility to spend Night 5 in a hotel at beach location (for a surcharge) in order to spend your last day either relaxing on the beach or we can organise an activity such as a boat/fishing trip or karting. Terrain: Varied with rocky ascents and descents, technical river sections and fast flowing fire-trails (some of the Portuguese Rally WRC trails). Deep sand trails amongst pine trees on the west coast and wide open trails on the cliff-tops. 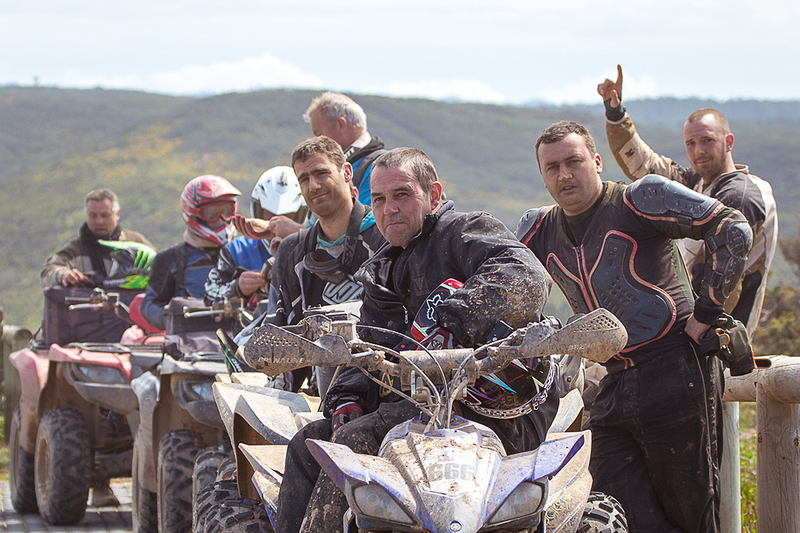 Trails will be chosen according to the ability and experience levels of the riders. Day 1 – Arrive Faro airport or if arriving at Lisbon airport take direct train to Loule. Transfer to hotel. Day 2 – Transfer from hotel to base, signing of damage waiver, fitting of safety equipment, safety talk. Ride of approx 120 kms including lunch in a typical Portuguese restaurant. Night 2 – Dinner & Night in rural hotel/guesthouse. Night 3 – Dinner & Night in 4 star hotel + option of spa. 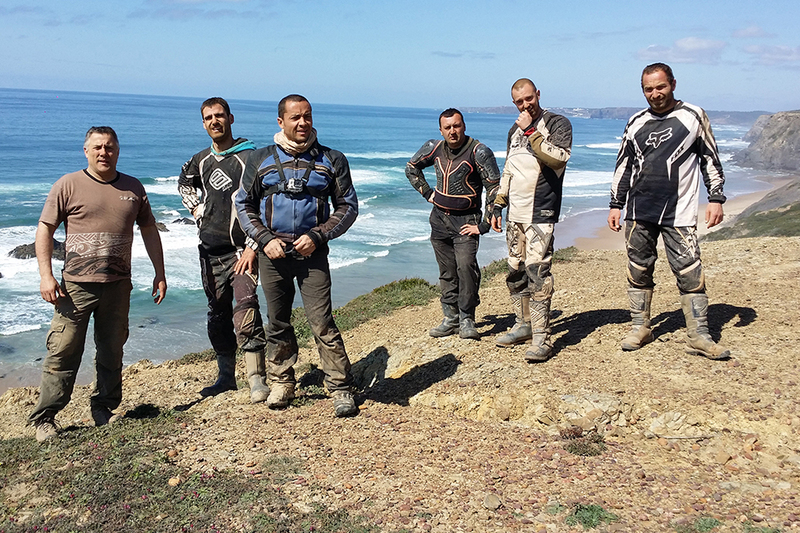 Day 4 – Ride of approx 120 including lunch in a typical Portuguese restaurant overlooking the sea. Night 4 – Dinner & Night in 4 star hotel + option of spa. 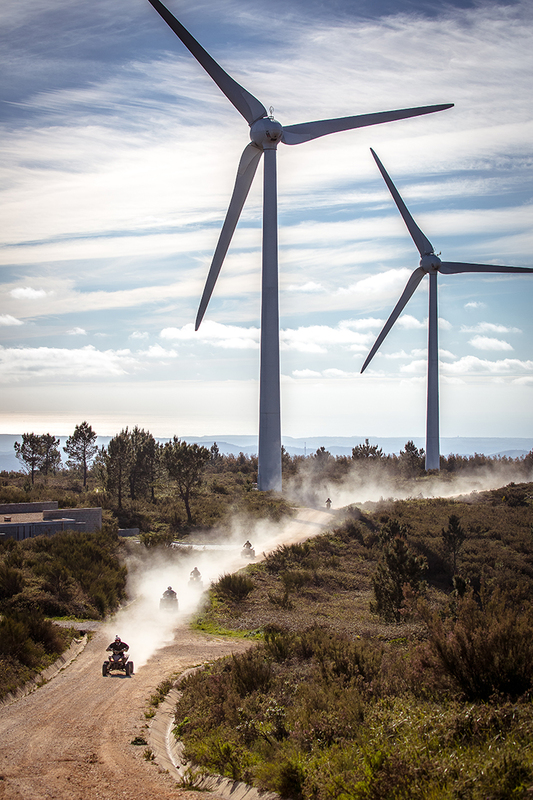 Day 5 – Ride of approx 120-150kms including lunch in a typical Portuguese restaurant. Night 5 – Dinner at a restaurant of your choice. Night in 3 star hotel in Loule or a country-side guesthouse or option of staying in a 4 star hotel at a beach location. Day 6 – Transfer from hotel to airport. Option of relaxing at the beach or going on a boat/fishing trip depending on what time your flight is.